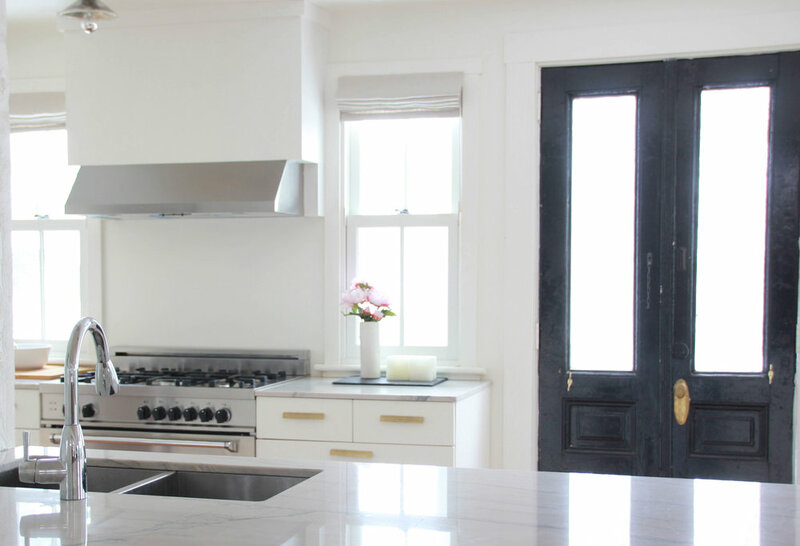 In recent years there has been a definite trend towards white counters in kitchens. When I was looking for something in my own house I went on a mission to carefully look all my options. Initially I was thinking I would go with marble. I preferred the look of natural stone (to any other materials), but I was very worried about marble due to the possibility of staining. I loved the look but was concerned about the function. I found a natural stone called Quartzite, and a colour called White Macaubas, it also comes in a colour called Super White. After looking at numerous options I decided to go with White Macaubas, as I was told it had the look of marble but the durability of granite. 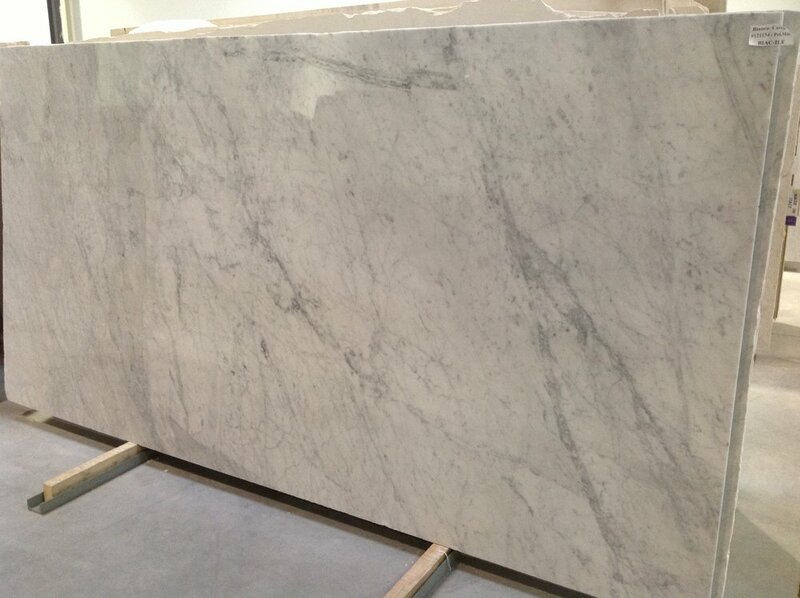 Here it is in my kitchen – I went with a 2 cm thick slab with a square edge profile. I prefer a thinner counter and have to say I love how this turned out. 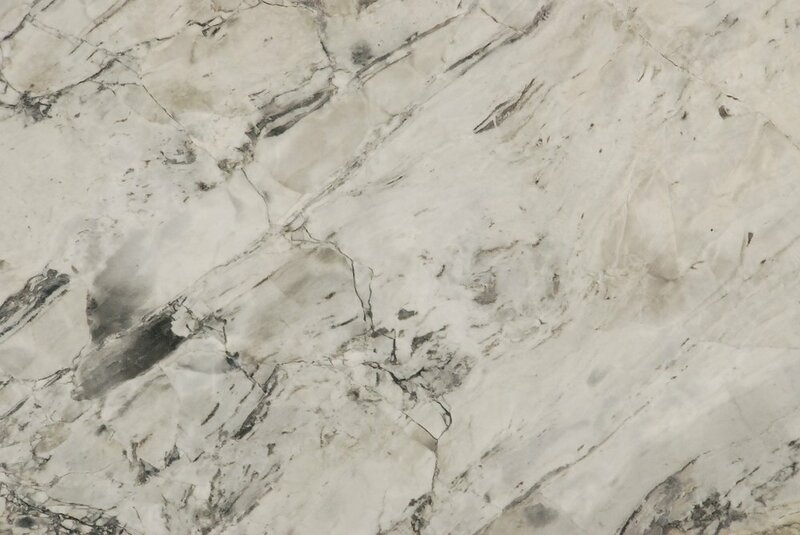 The stone is durable, attractive and has the look of marble without the worry. Many people assume this counter is marble and they're surprised when I tell them it isn't. The price of the quartzite was more expensive than carrara marble but I think it was well worth it, if you want that look without the worry. I've noticed some companies will call quartzite a granite, but it isn't – quartzite is a different type of natural stone. And not to be confused with quartz, which is the name of an engineered counter top. It can get confusing with all the options out there, but I couldn't say enough good things about quartzite!